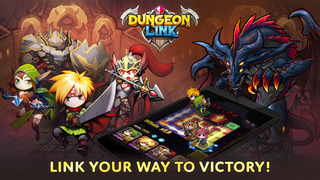 In Dungeon Link ? a simple but challenging puzzle RPG, your job is to discover the mysterious world of Kenterbury while on your way to defeat the evil Demon King. You will meet new people on your travels and you will have to recruit them to your cause. Do all of this by matching tiles and thinking strategically. 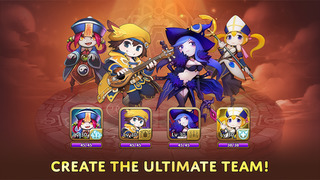 Create the ultimate team by collecting over 250 different heroes and utilizing each of their special attacks!